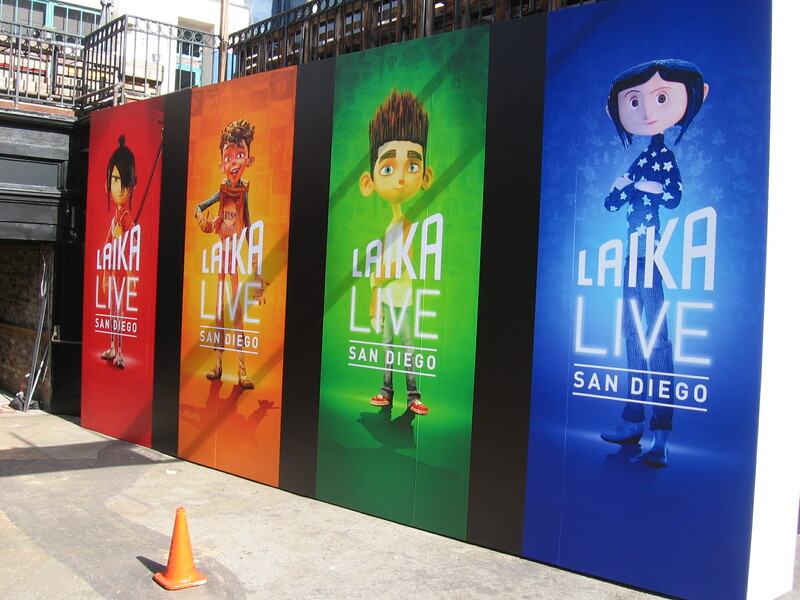 LAIKA LIVE San Diego–UPDATE! – Cool San Diego Sights! LAIKA LIVE San Diego is coming to 2018 Comic-Con . . . bigger and better than last year! In my previous blog post, I discovered Laika is returning to San Diego Comic-Con. This morning I walked down to check things out again and learned that Laika’s presence in the Gaslamp this year will be substantially larger and more interesting! Previous Previous post: LAIKA LIVE San Diego coming to 2018 Comic-Con! Next Next post: Four beautiful sculpted faces in Balboa Park.